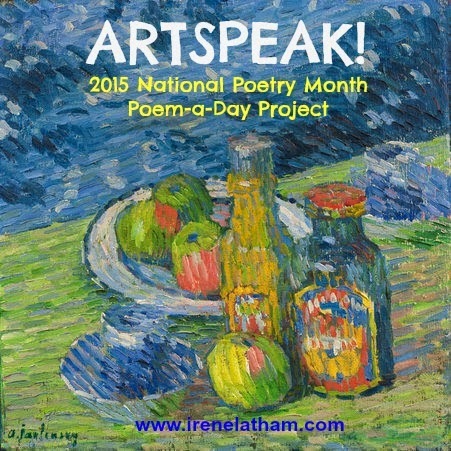 Live Your Poem...: ARTSPEAK! Poem # 7 "Friends Like Us"
ARTSPEAK! 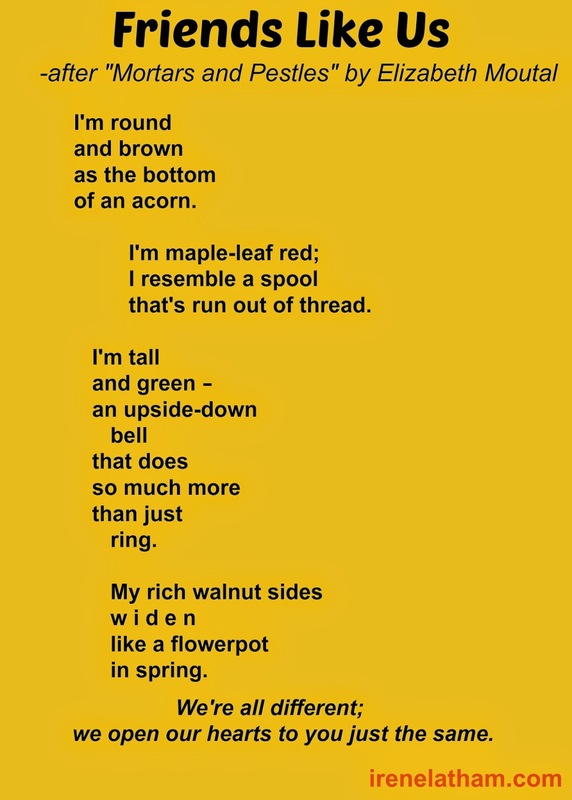 Poem # 7 "Friends Like Us"
Hello, and welcome to day #7 of ARTSPEAK!, my 2015 Poem-a-Day Project for National Poetry Month 2015, in which I am writing from images found in the online collections of the National Gallery of Art and focusing on dialogue, conversations, what does the piece say? Today's piece is "Mortars and Pestles" by Elizabeth Moutal. Okay, so this is a tough one. How to give voice to inanimate objects, and also create a poem that can stand-alone?? Hmmm.... looking at this piece, my mind jumped instantly to friendship. How we can look different on the outside, but aren't our hearts the same? The power of friendship. But, oh my, a friendship poem? Hasn't that been done and done and done? I was pretty much groaning as I got started. 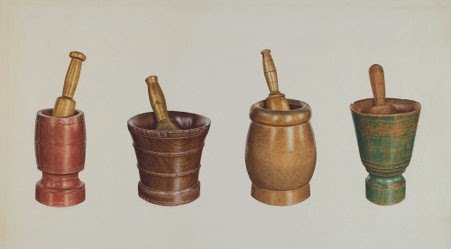 But look at them, those mortars and pestles... they look so cheery and proud. I decided to give it a shot. I spent more time on this poem than I have on any in the series so far... and at some point I just had to STOP, so I could publish this post! I imagine I will keep working on that ending... I really wanted the four voices to join together to create some sort of lovely chorus. There's nothing wrong with what's there, just that it's kind of expected. (Have I mentioned before how much I love the element of SURPRISE in poetry?) Something to keep tinkering with. And isn't that one of the joys of poetry? The endless tinkering? Trying this word and that? Playing with words? JOY! Be sure to visit Catherine Johnson for the latest in our Progressive Poem! Knowing in our bones it isn’t true.